Complete integration is the signature of our work. We work closely with you from inception to completion, always keeping in mind your requests and the unique needs of each project. From the first system design draft, to that final wire tucked neatly out of sight, our team is working closely with you every step of the way. Our relationships with the industry’s premier manufactures also ensure that your system will be truly state of the art and fully working to your needs. 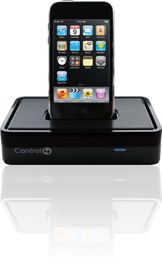 The Control4® Dock for iPod offers better navigation and control than existing docks, allowing you to effectively distribute music and video throughout your home. Access a single iPod or connect all of your family's iPods at the same time simply by adding more docks. Use any Control4 interface to control your iPod, even if it's physically docked in a different room. 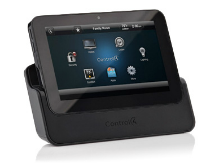 Experience the ease and beauty of home automation technology with Control4® Wireless Touch Screens. These bright, easy-to-read touch screens provide control over all aspects of your home-automation system. Control your lights, access Internet music, check the camera in the play room or start a movie using this single, elegant interface. 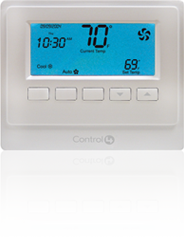 The Control4® Wireless Thermostat makes it simple to add intelligent temperature control to any home. Featuring bi-directional communication and seamless integration with the Control4 home automation system, the Wireless Thermostat adds an impressive array of climate control functions that are accessible from any room in the home.